Aluminum safety padlock with red composite cover, insulated steel shackle (ø 6,5mm, H 38mm) and key retaining function. 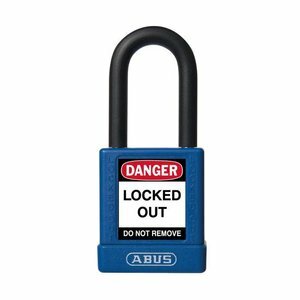 Aluminum safety padlock with blue composite cover, insulated steel shackle (ø 6,5mm, H 75mm) and key retaining function. 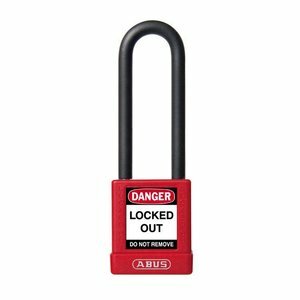 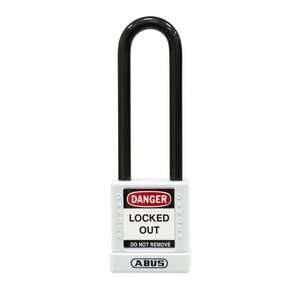 Aluminum safety padlock with black composite cover, insulated steel shackle (ø 6,5mm, H 75mm) and key retaining function. 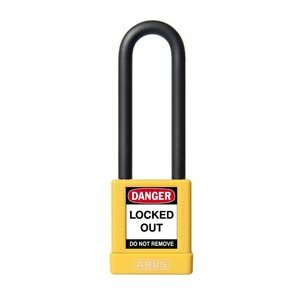 Aluminum safety padlock with yellow composite cover, insulated steel shackle (ø 6,5mm, H 75mm) and key retaining function. Aluminum safety padlock with purple composite cover, insulated steel shackle (ø 6,5mm, H 75mm) and key retaining function. 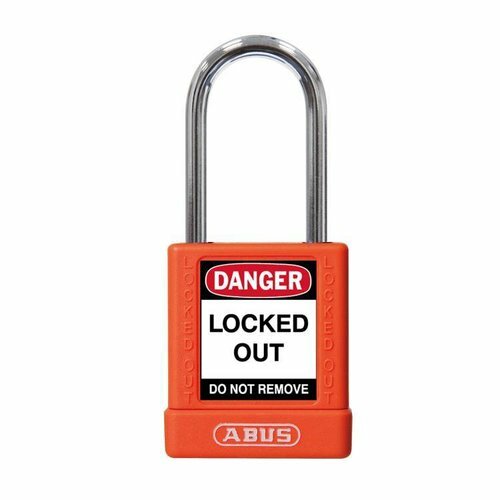 Aluminum safety padlock with orange composite cover, insulated steel shackle (ø 6,5mm, H 75mm) and key retaining function. Aluminum safety padlock with brown composite cover, insulated steel shackle (ø 6,5mm, H 75mm) and key retaining function. Aluminum safety padlock with red composite cover, insulated steel shackle (ø 6,5mm, H 75mm) and key retaining function. Aluminum safety padlock with purple composite cover, steel shackle (ø 6,5mm, H 38mm) and key retaining function. Aluminum safety padlock with orange composite cover, steel shackle (ø 5mm, H 38mm) and key retaining function. 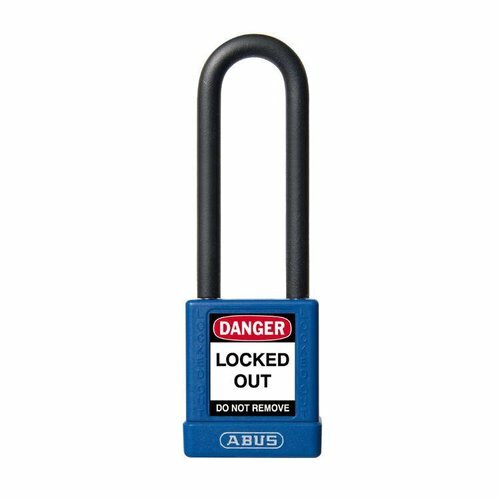 Aluminum safety padlock with bleu composite cover, steel shackle (ø 6,5mm, H 38mm) and key retaining function. 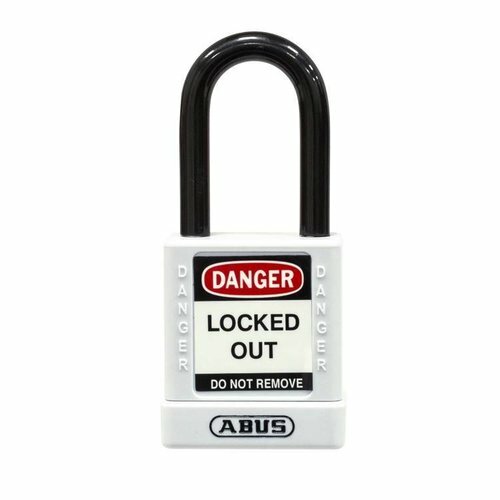 Aluminum safety padlock with grey composite cover, insulated steel shackle (ø 6,5mm, H 75mm) and key retaining function. Aluminum safety padlock with green composite cover, insulated steel shackle (ø 6,5mm, H 75mm) and key retaining function. Aluminum safety padlock with brown composite cover, insulated steel shackle (ø 6,5mm, H 38mm) and key retaining function. Aluminum safety padlock with purple composite cover, insulated steel shackle (ø 6,5mm, H 38mm) and key retaining function. Aluminum safety padlock with orange composite cover, insulated steel shackle (ø 6,5mm, H 38mm) and key retaining function. 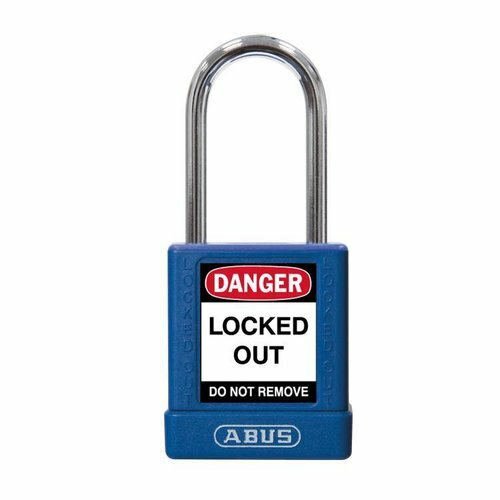 Aluminum safety padlock with blue composite cover, insulated steel shackle (ø 6,5mm, H 38mm) and key retaining function. Aluminum safety padlock with green composite cover, insulated steel shackle (ø 6,5mm, H 38mm) and key retaining function.